The English philosopher Jeremy Bentham said “Stretching his hand up to reach the stars, too often man forgets the flowers at his feet”. Not so Daniel Csobot at Natural Recall who researches the inner workings between the animal and vegetable world. 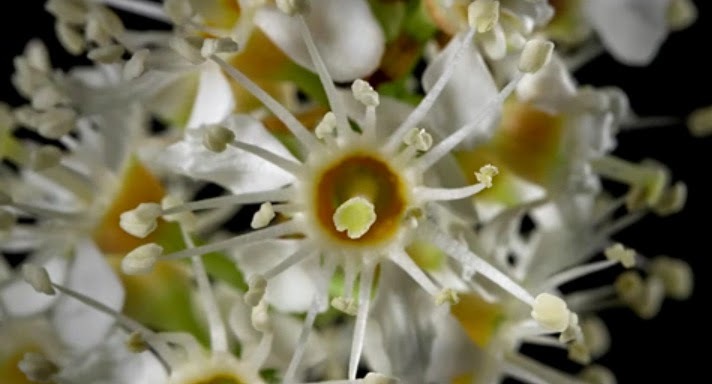 This exquisite macro time-lapse shows those flowers at our feet at a speed which allows us to take in the wonders of nature at a speed we are not usually afforded. Lovely. 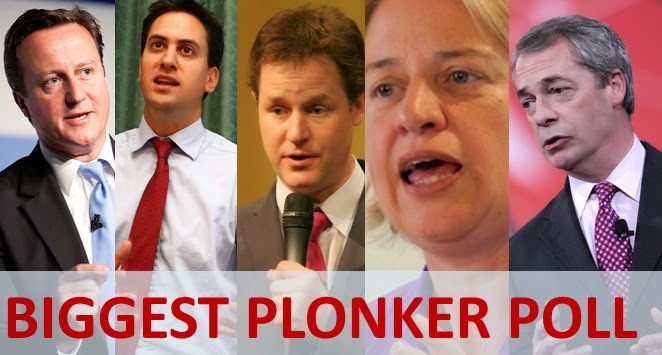 Poll: Which UK Party Leader is the Biggest Plonker? It's started - properly - the run up to the day we decide. Yet at a general election in the UK you are supposed to vote for who you want to win. Tactical voting aside it is our role in the democratic process to indicate which person we think is best for the job. However, what we don’t get to do is tell our politicians just what plonkers they really are. Well, now you can. First, tell us how much of a plonker you deem each of our esteemed party leaders to be in terms of percentage plonkerdom. Then, tell us which out of this ravishing lot is, in your opinion, the biggest plonker of them all. As you vote you will see what other people think too... and there lies the fun of it! Do others see things (sorry, politicians: sorry, same thing) as you see them? Have fun! If you would like to do a quiz which is a little more, ahem, cerebral, then why not have a go at our horribly difficult art quiz. All you have to do is match the painter with the painting. Sounds easy? Give it a go! Click on the picture to the left or HERE. 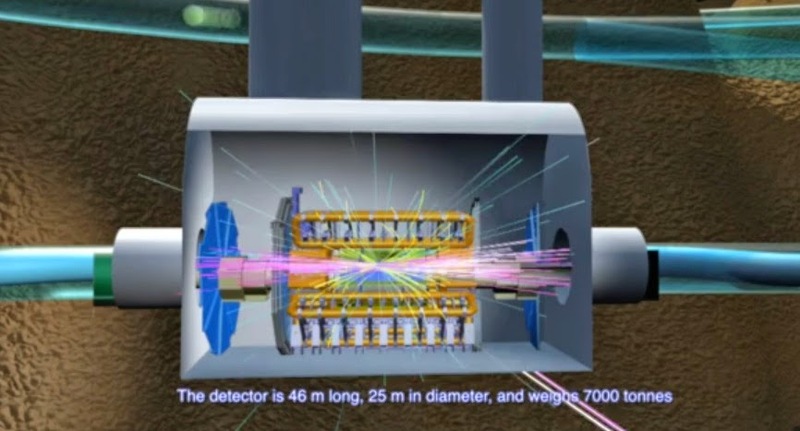 ATLAS is a particle physics experiment at the Large Hadron Collider at CERN that is searching for new discoveries in the head-on collisions of protons of extraordinarily high energy. The detector is 100m below ground in a cavern few get to see. Yet thanks to filmmaker Christoph Malin we get the opportunity to see the experiment at a point when it is undergoing a technical upgrade (I could think of a few thousand things that probably need one more than Atlas, but there you are!). If you have lived in or visited London over the last thirty years then the three words which make up the title of this short film will be familiar as you will have heard them many time on the underground tube system of the English capital. For one elderly woman the words have a particular resonance. 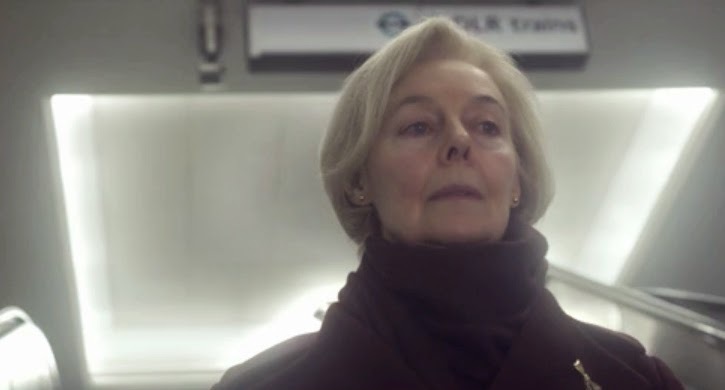 Starring Eileen Nicholas and produced, written and directed by Luke Flanagan, Mind the Gap is based on a true story. Gretchen Peters has been a famous face on the American music scene for two decades. 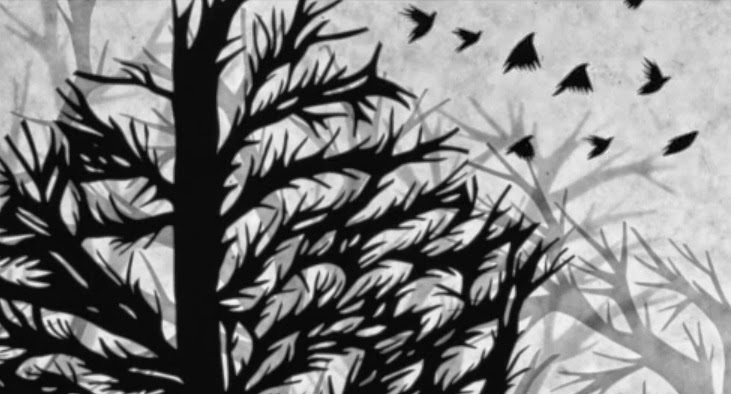 Her latest single, Blackbirds, is a wonderful slice of American noir which pools her eclectic musical influences in to a murder ballad which tells the last chapter of a family’s history. Together with a great stop motion silhouette animation from Eric Power this might not be one to show the kids just before bedtime. Oh, go on then. 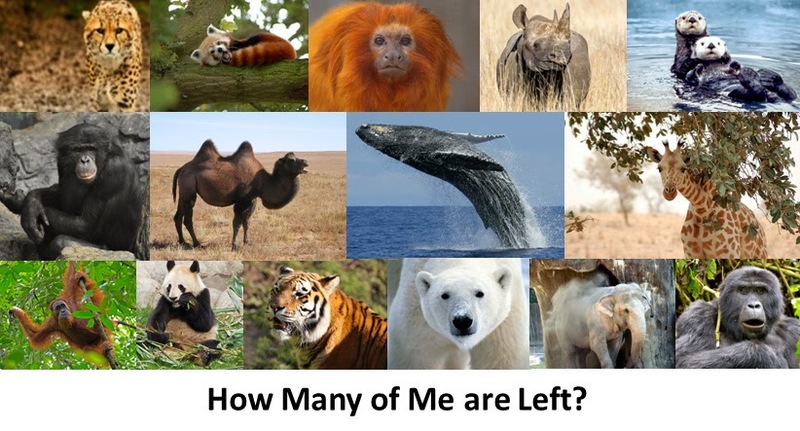 Quiz: How Many of these Endangered Mammals are Left? 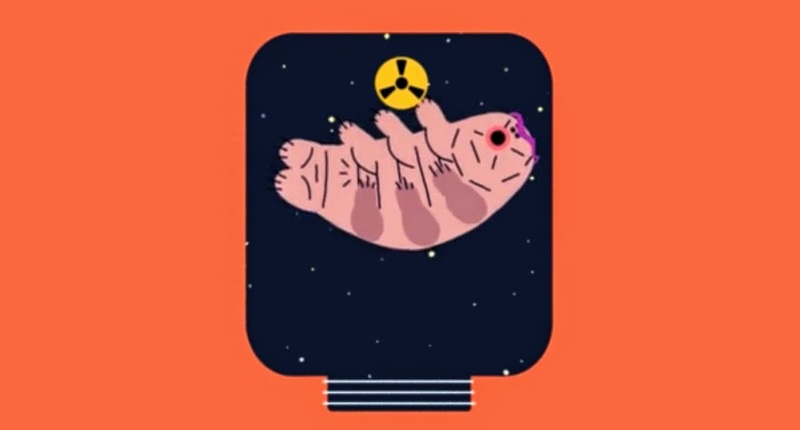 There are probably countless endangered mammals in the world but you will recognize all fifteen in the latest quiz from our sibling site, the Ark in Space. Your job is to guess just how many individuals of each species are alive in the world today. Some of the answers may surprise you (and some will make your heart a little heavy, but this is a quiz about endangered mammals, after all). Click on the picture above or HERE to do the quiz. 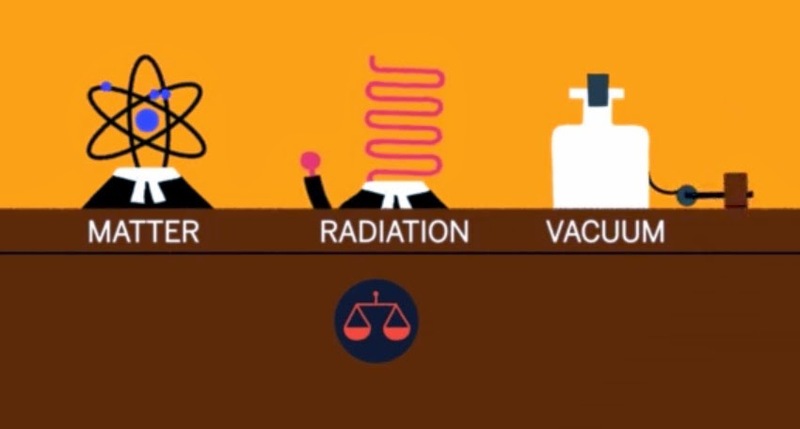 Science should be big, bright, bold and engaging – and you are going to find this video by Beakus all of those and more. It asks the question that, at some point or another, many of us ask – when is the universe going to end? Fortunately the answer is not tomorrow or indeed the day after. Created for the Royal Observatory Greenwich this is science and art in blissful union. I have no idea how Kamiel Rongen does this but he creates audiovisual landscapes by using water and lots of different materials. Once that is done he makes the music to go along with the video. The result is bizarre, mesmerizing and quite simply amazing. I normally say something like don’t try this at home at this point, with tongue fairly firmly in cheek. I think I mean it this time..! I am the first to admit that Naturevention has left me a little perplexed but not by any means in a negative way. Written, directed and produced by Miro Laiho of Time Films, the story is told at three different periods in our history, the past, present and future. Yet although it’s something of a puzzle (and I may just be a little dim today) it is something which I had to watch to the end. See what you think and let me know! 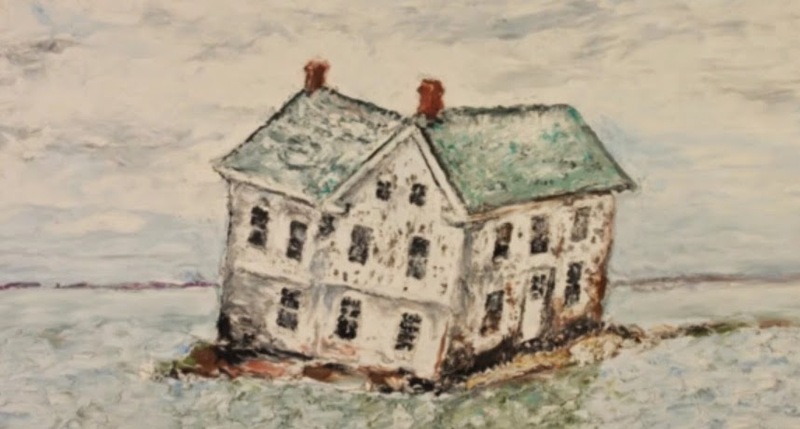 This is quite an extraordinary meeting of talents, brought together to tell the true story of the last house standing on a sinking island in the Chesapeake Bay, the northern part of which is within Maryland, the southern portion within Virginia. 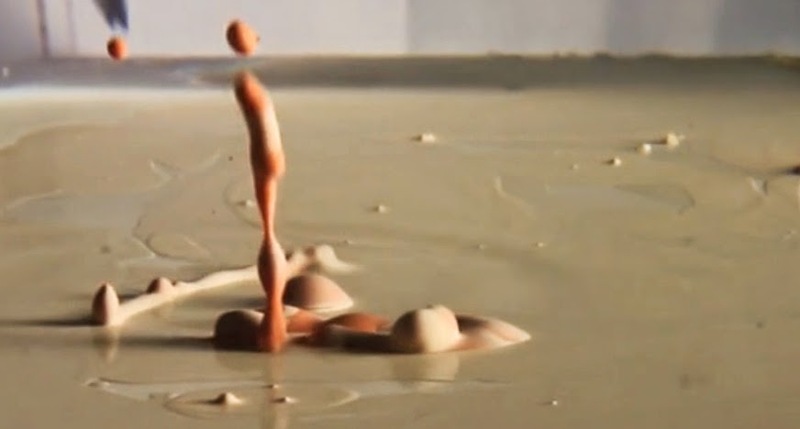 Animator Lynn Tomlinson uses a truly inventive animation technique using just a thin layer of oil-based clay. The music is by Anna Roberts-Gevalt and Elizabeth LaPrelle – a perfect companion to the animation which produces a soulful and haunting view of the impact of sea-level rise. The words, told from the perspective of the house are reminiscent of Longfellow’s The Windmill (to me, anyway!) but the tone here is much more elegiac. Altogether it is a mesmerizing experience: moreover, it’s wonderful to hear an authentic if somewhat melancholic American voice come through the sound and visuals so strongly. Know Your Art? Then Try Our Horribly Difficult 20 Question "Who Painted This?" Quiz! 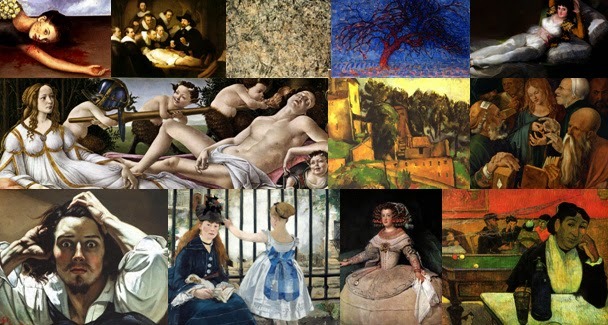 Do you know your Dali from your Dürer, your Goya from your Gauguin? Then try these 20 multiple choice questions. You will take a back and forth whistle-stop tour through almost a thousand years of art history. Yet which painters were responsible for the 20 masterpieces you are about to see? Don’t worry if you don’t get all 20 – you won’t necessarily see the most famous work by each artist in this quiz. However, why not pass this on to your friends by sharing it? Watching them get a miniscule score will inevitably make you feel better. Have fun with the schadenfreude! If the answer you choose goes GREEN, then you got it right. If it goes RED then you got it wrong. You will also see how many others chose the different answers (in terms of a percentage). If you want to check out the answers as a single list, click here. 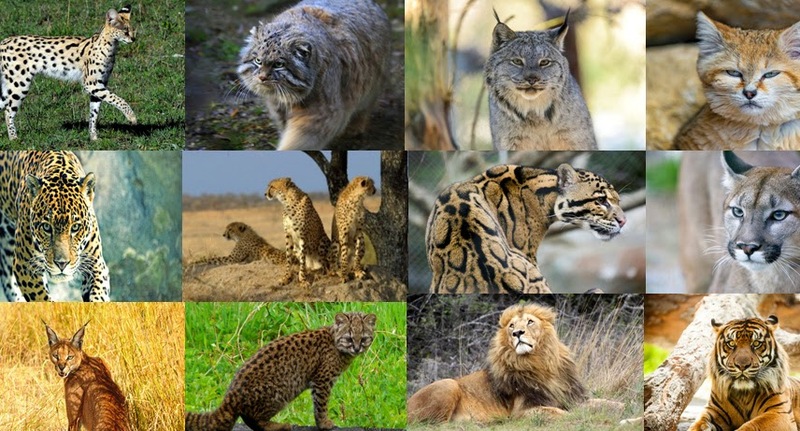 Quiz: Can You Name All 15 of These Big Cat and Wild Cat Species? Fancy a quick quiz? Then click on the picture above and it will take you to our sibling site, the Ark in Space. Most of us know a lion or a tiger when we see one but some of the other big cats can be a little more difficult to name. Throw in a number of wild cat species and it becomes more difficult to name them all. Just how many of these amazing animals can you name? The quiz is multiple choice so you do have some chance at least so why not give it a go? You can find it over at the Ark in Space. The SS Hartnell is in trouble – it has been hit by a comet and most of the people on board have been killed. 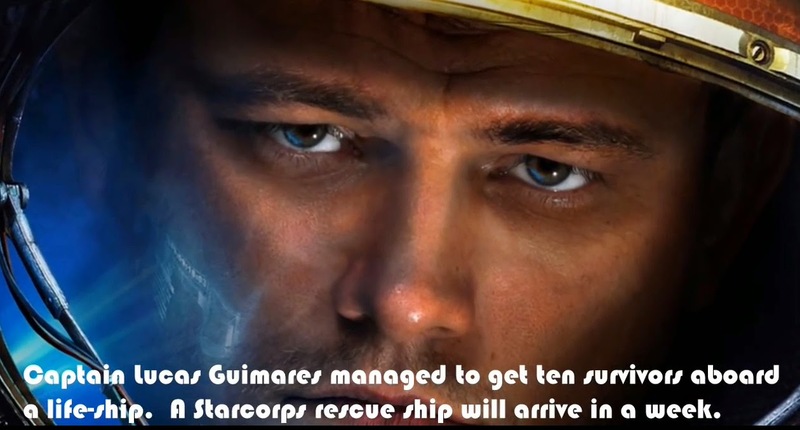 However, the captain has managed to get ten of them to a space lifeboat. Here’s the problem, though, only five of the ten can be saved as food and oxygen will run out before rescue arrives. Which of these five would you save? This is something I created for my real world job, in which I teach 16-18 year olds. I thought I would share to show you that it isn’t sheer laziness which stops me from posting to Kuriositas every day but that I do, in fact, have one or two other things to do. I particularly enjoyed making this and it has had a good reaction from my students. The funny thing is, I have now done it with three different classes not one of which has come up with the same five people to save. So, over to you! Which people would you save? Below is a little quiz to make it even harder! Which of the first five would you save and which of the second five if there were only two people who could make it? As the reburial of Richard III gets underway we thought we might as well jump on the band wagon (is there such a thing as a band hearse?) and give that most misunderstood of kings the opportunity to put the balance right. 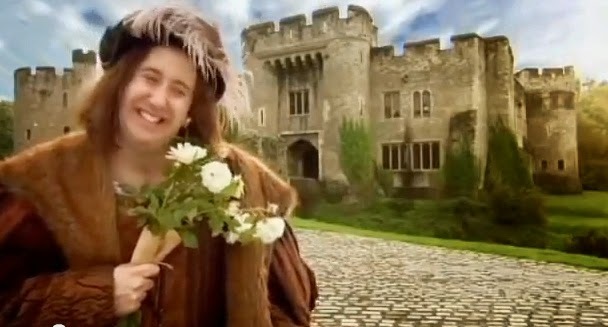 History has not been kind to Richard III and, as you can see from this amusing song from the Horrible Histories team, it’s mostly the fault of those terrible Tudors! I love a short film that doesn’t put all the answers on a plate for you, instead leaving much to the imagination and that is exactly what Line Signal by Meat Bingo does. In terms of exposition there is just what you see (and it’s beautifully shot) and hear. Who is the young businesswoman with her mysterious deals? Who are the strange figures she encounters in the wood when the signal to her mobile phone fails? Or as my ancient neighbour used to say about almost everything he watched, what was that all about, dear? I’m not sure but I loved it! Who can say but this short animation created by Beakus for the Royal Observatory in Greenwich (the one in London!) puts the possibilities forward simply and concisely. The sad reality is that we probably won’t find out in our lifetimes unless there is some sort of Independence Day event but given the odds I would, for one, certainly like to think that it is only a matter of time before we have the answer. "I must reorganize the environment of man by which then greater numbers of men can prosper." 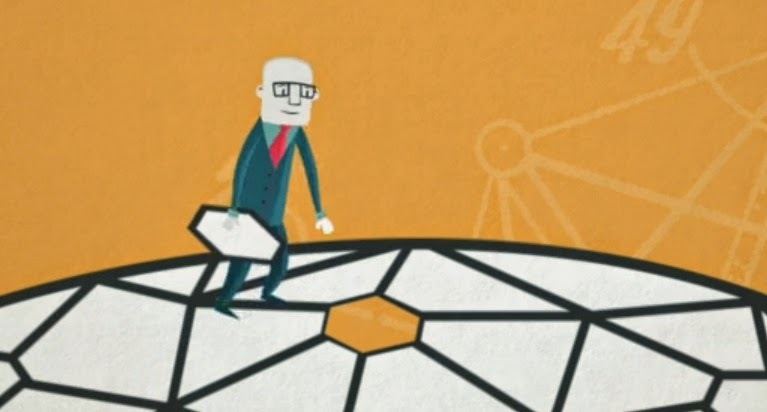 Buckminster Fuller, American neo-futuristic architect, systems theorist, author, designer, and inventor as told to Studs Terkel during interviews recorded in 1965 and 1970. Although it skims the surface of the ideas of this extraordinary man this is a fantastic homage by Quoted Studios. 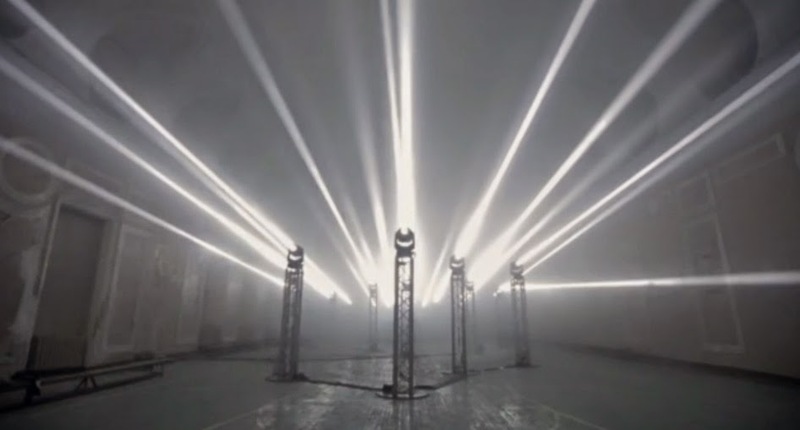 If you like kinetic light sculptures then they really don’t get much better than this. Created by Tundra Collective, Hyperjump takes us to one of the halls of the former First Cadets Corps in Saint Petersburg. There are 25 moving head light beams on truss stands with a powerful sound system for good measure. When the light sculptures started to move, the electronic light devices come to life. It’s an 11 on the 1-10 scale of cool art. When you are a scientist on the verge of a breakthrough then you need isolation, quiet and, above all, no pesky felines arriving on your doorstep without a by your leave. However, life for this scientist is not ideal by any means and made worse by an unexpected visitor whose arrival will change everything. Written and directed by Nicolás P. Villarreal, Pasteurized has won a number of awards. Watch and find out why! We use them every day – but what are the mysterious origins of these symbols we take for granted? Here are few short explanations to demystify the meanings of our favorite symbols. 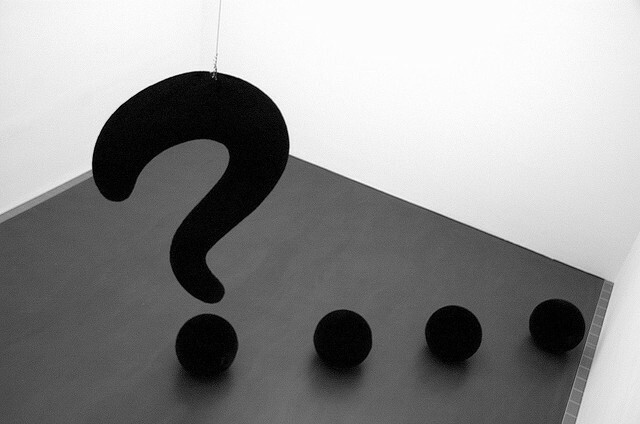 Once upon a time, there was no such thing as a question mark. To show that a question was being asked, the word question would be written. In Latin - quaesto. The reason that it was in Latin was because that was the universal scholastic language of the time. Spring Break: at time to let your hair down and have some fun. Of course, if you happen to be a supernatural beasty the same rules apply, only with some little differences. 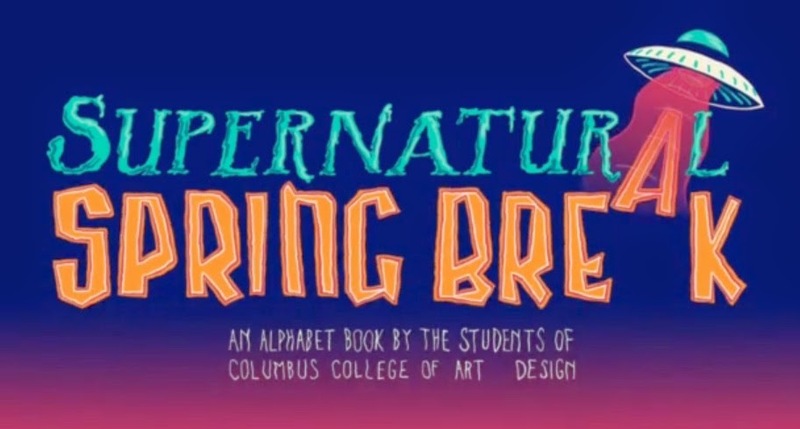 Here, the students of Columbus College of Art and Design have a little fun with the whole concept of spring break and bring you an alphabet of its extravagances, seen through the eyes of a menagerie of monsters. 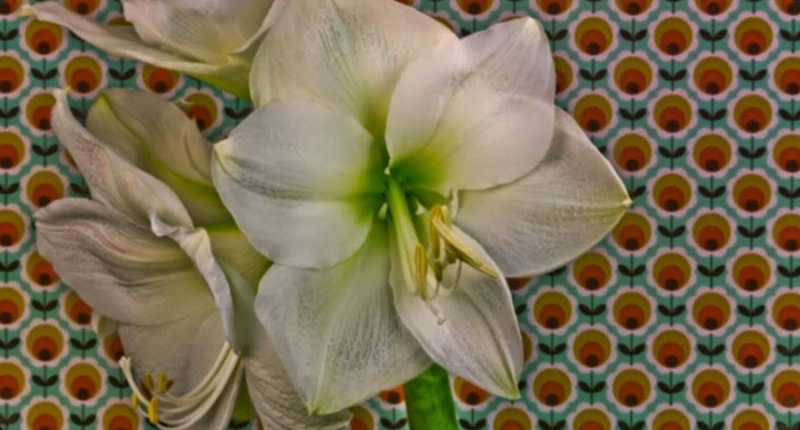 There should have been enough time-lapses of opening flowers by now for us all to have become completely fed up with them. Yet they keep coming and they keep getting better. This one, created by Thomas Blanchard, is just lovely and is the result of 9624 shots being brought together to make just over two minutes of film. 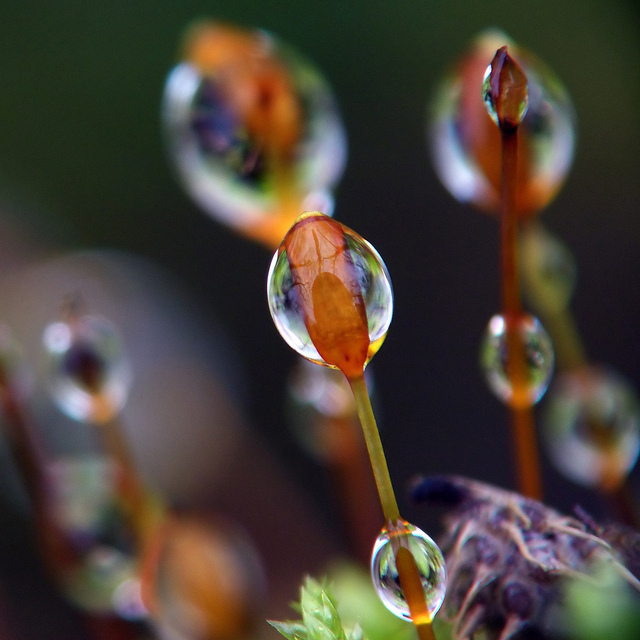 Dew forms on any exposed and thin object in the morning and (unknown to some) also in the evening. It is caused by the object cooling. When it cools it radiates the heat it is generating. That heat causes moisture in the surrounding atmosphere to condense. 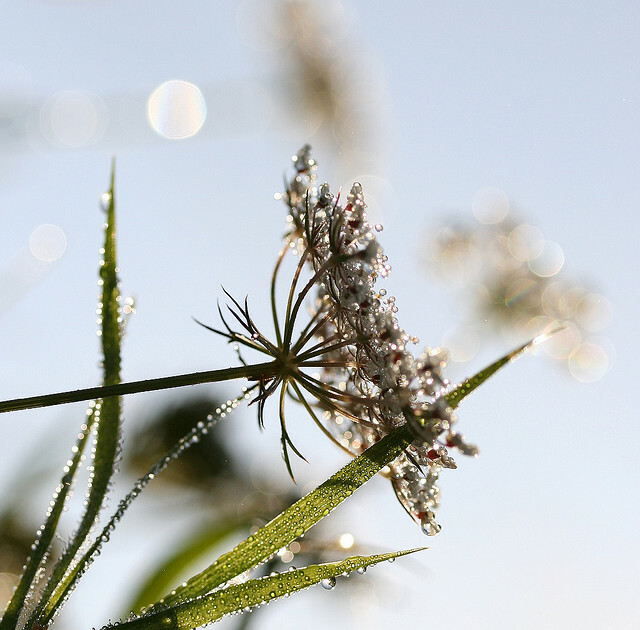 The water is not able to evaporate faster that it is condensing. 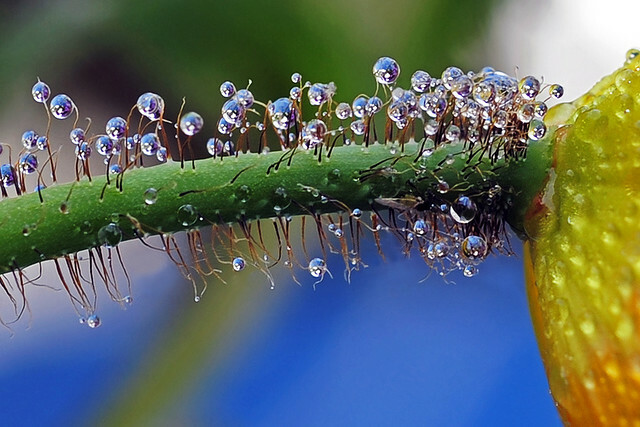 So, dew forms. Naples is associated, primarily, with things other than its metro stations. This is hardly surprising when you consider that this city of almost a million people has an almost 3,000 year history. Yet they should not go unremarked and neither are they. 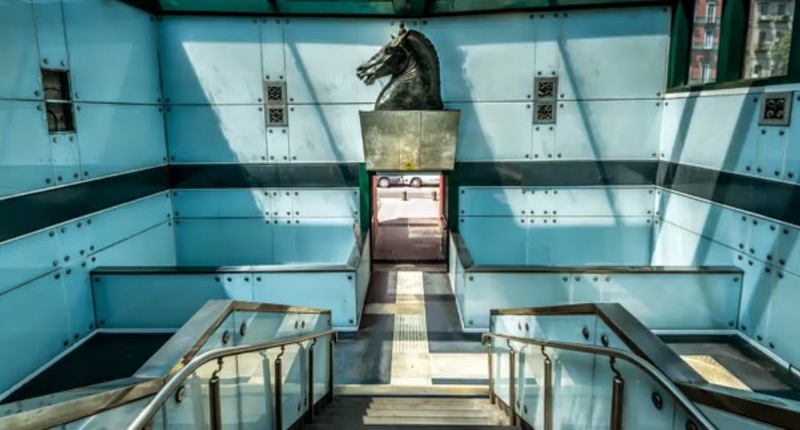 Here, Andrea Buonocore takes us on a tour of these architecturally rich stations which put those of much more populous cities somewhat to shame! A lot of attention was paid to the lack of diversity among Oscar nominations in 2015. 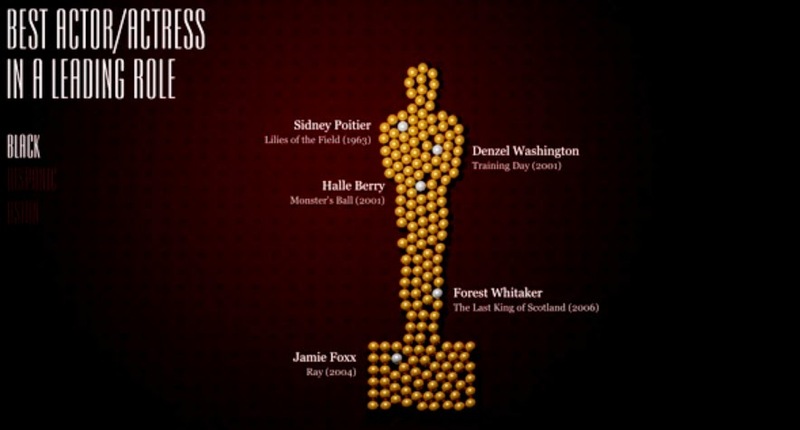 This video by Bard Edlund shows how many black, Hispanic, and Asian winners there have been throughout history (including this year), across four main categories -- best actor/actress, supporting actor/actress, writing (original and adapted screenplays), and directing. You can see why a lot of eyebrows continue to be raised. 8 July 2011. Is it really that long ago, already, that the last space shuttle launch happened? 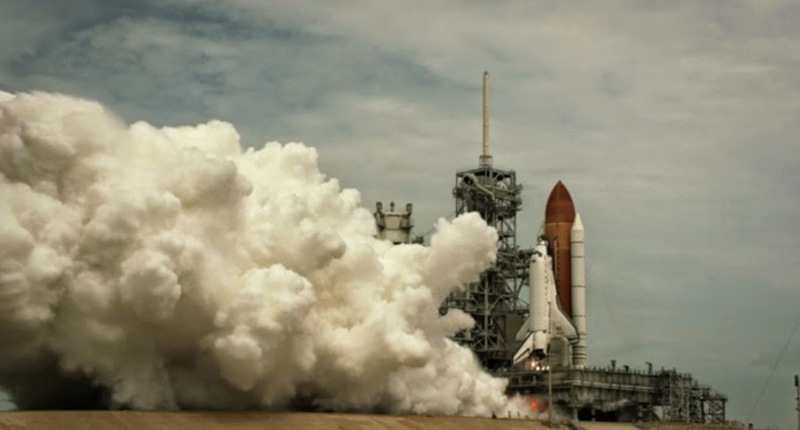 Here to remind us of what we are missing these days is some incredible footage of STS-135 by Bill Bennett who was invited by Arri and NASA to record this final launch for posterity. The camera, an Alexa rolling at 120fps was just a 1,000 feet from the Launchpad – and triggered remotely. The result? Is there a one word superlative for awesome? To mark International Women’s Day here are ten African-American women who changed (and continue to do so) lives and perceptions through their deeds, challenging attitudes not only because of their gender but their color too. The above video gives a very short insight in to their lives but you can read more about them on Kuriositas here. Baxter likes candy. No wait. 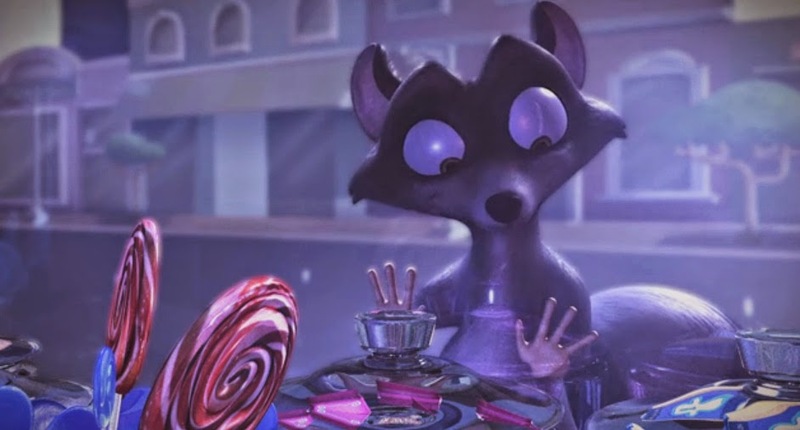 Baxter loves candy. So when he sees Granny’s Candy Shop one evening he can’t resist going in. Yet once in a while a stronger obsession of his takes over from his desire for candy. Written and directed by Ty Coyle, Baxter was a collaborative project created at the Savannah College of Art and Design. 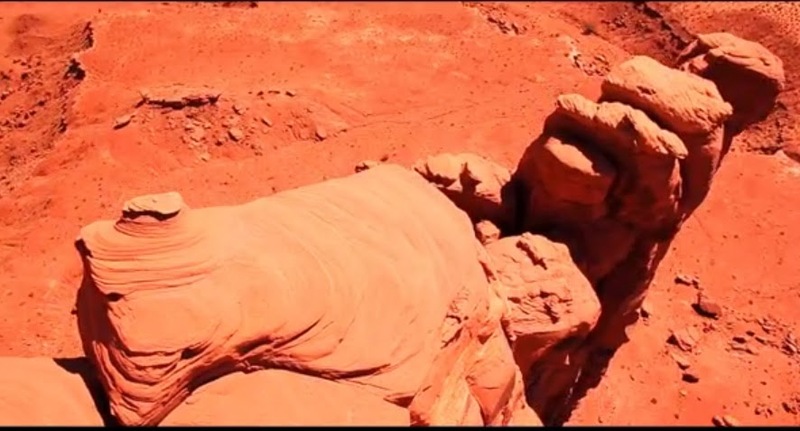 The magnificent sandstone buttes of Monument Valley on the Arizona-Utah state line – what a perfect site to send a drone up high and capture some amazing footage. That is exactly what the folks at FreewayDrone did, getting special permission from the Navajo Film Office to fly for two days. The results are something quite ridiculously beautiful: the serenity and sheer immensity of the landscape is perfectly caught. You may not look at Batman in the same way ever again after this. 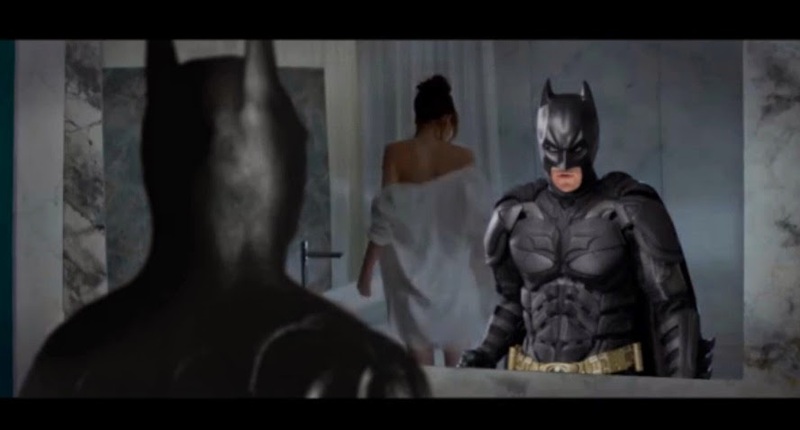 What would happen if there was a movie mashup between Fifty Shades of Grey where the caped crusader just happened to be the protagonist? 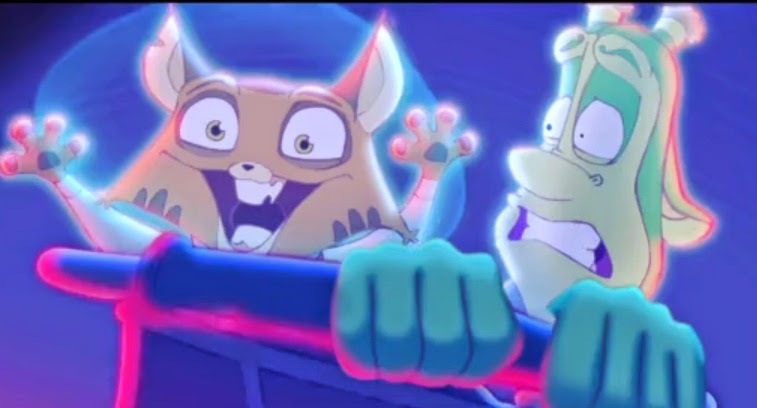 It’s surreal not to mention a little worrying that it all fits together so perfectly, thanks to animator, designer and VFX artist Josh Meeter.